If you’re anything like me, you love macaroni and cheese. Ooey gooey, cheesy, yum. It’s comfort food, it’s game day food, it’s cheat day food, and makes me feel all warm and fuzzy when I eat it. With winter’s grip still firmly on the mercury, it’s cold out and there’s nothing like digging into a cup of cheesy mac while parkin’ it on my couch and watch some college basketball. This recipe comes to us from our friend, Adia Benson. Bring large pot of water to boil and cook pasta until al dente. While the pasta cooks, melt the butter in a medium pot. Then add in the flour and whisk until smooth. Cook for 1-2 minutes and then add in the milk. Cook until sauce thickens, about 5 minutes. Add in grated cheeses and whisk well. Then add in nutmeg, salt and pepper. 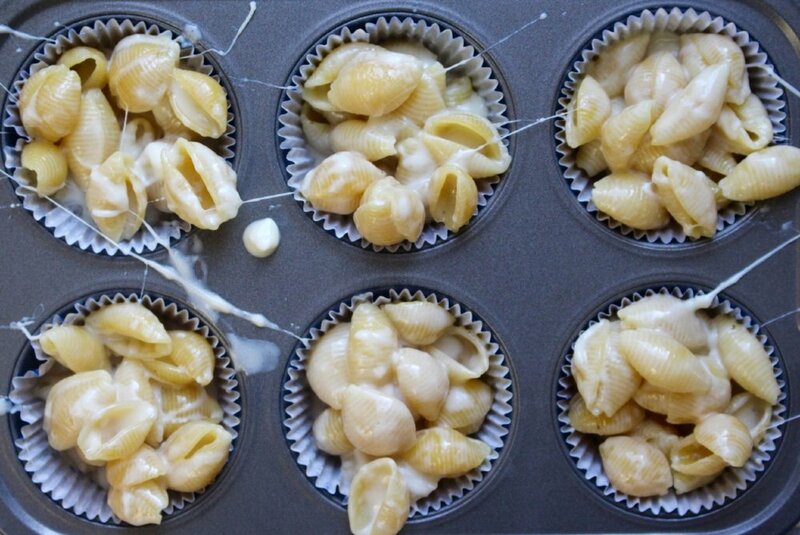 Pour shells into pot, mix well into the cheese mixture, and then serve in ramekins or even mugs.